The aftermath of the wreck of the French frigate Medusa in 1816 is widely regarded as one of the most horrible events in maritime history. Abandoned on an overloaded raft by officers and crew who took to the boats when the vessel grounded off the coast of modern Mauritania, only fifteen persons survived out of a total of 147. In the thirteen days the raft drifted, 132 died through thirst and starvation, fighting and suicide. Cannibalism sustained the survivors. Though the ship’s boats had reached safety no systematic search was made for the raft and it was only discovered, accidentally, by the British ship Argus. 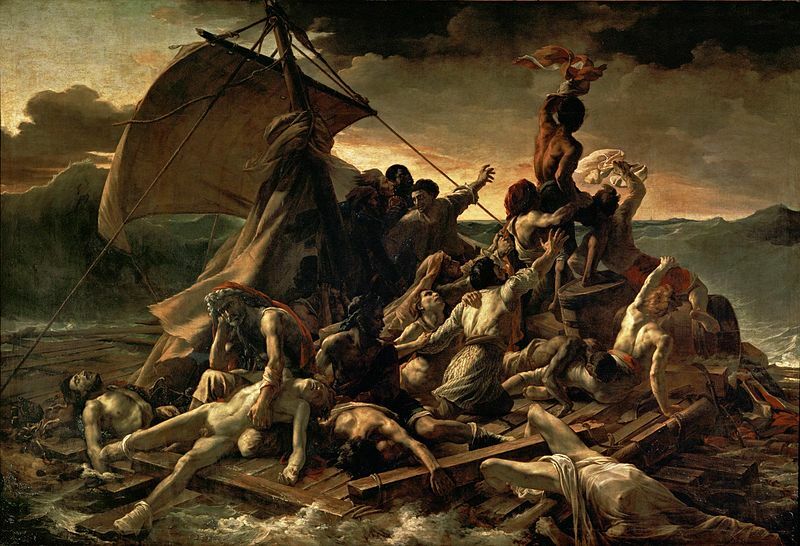 A major scandal at the time, the raft became the subject of an unforgettable painting by Théodore Géricault (1791-1824). The breakdown in responsibility and discipline that led to this appalling disaster can be contrasted with the happy outcome of what could have been a similar tragedy when a Royal Navy frigate, HMS Alceste, was wrecked the following year. The value of professionalism and discipline has seldom been so dramatically illustrated. HMS Alceste was built in 1804, as the Minerve, for the French Navy – generally similar in fact to the Medusa. Two years later she was captured by the Royal Navy and taken into service as HMS Alceste, under command of Captain (afterwards Sir) Murray Maxwell, (1775 –1831). He was to be her captain for much of her Royal Navy career until her final loss. In 1811, in company with HMS Active, Maxwell and the Alceste captured the French frigate Pomome. Maxwell was to be congratulated on this in strange and unforeseeable circumstances six years later. 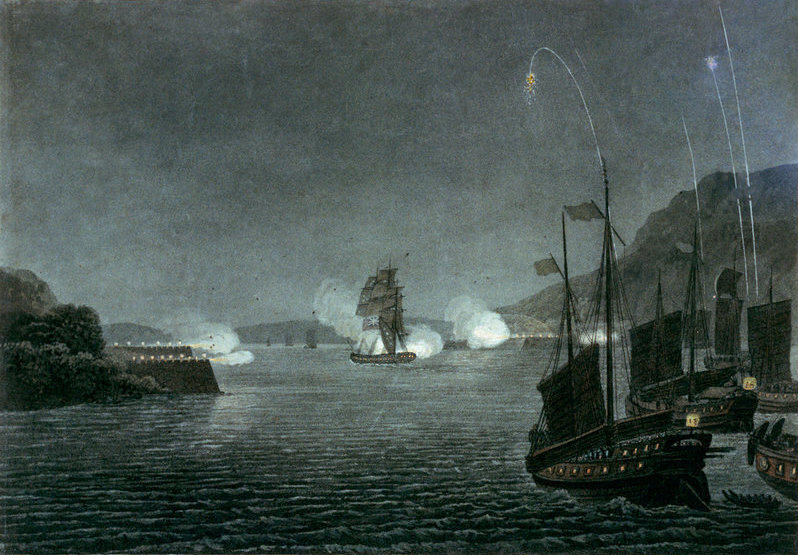 The Alceste provided sterling service through the remainder of the Napoleonic Wars and in the War of 1812. In 1816 Alceste was assigned to carrying William Pitt Amehurst, the first Lord Amherst, on a diplomatic mission to China, the objective being to establish formal relations between Britain and the Chinese Empire. Amehurst was landed at Canton (Guangzhou) and travelled overland to Pekin (Beijing). In his absence Captain Maxwell and the Alceste undertook extensive survey work in uncharted waters off the coasts of China, Korea, and Okinawa. 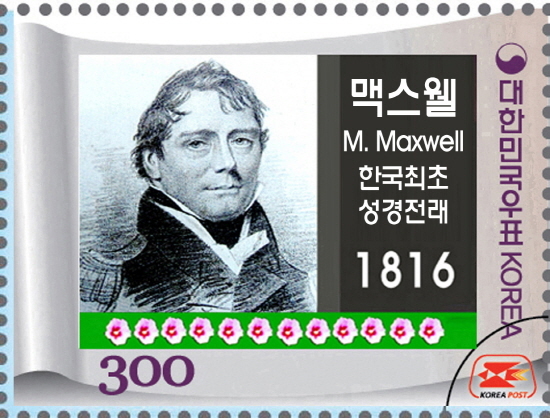 This work is so well thought of, even today, that Maxwell has been honoured by a South Korean postage stamp. Sir Murray Maxwell – the only Royal Navy officer honoured by a Korean stamp? On her return to China Alceste required repairs to ready her for the long voyage home. This necessitated mooring in calm water in the Pearl River, close to Canton. A request to do so was refused by the Chinese authorities, who threatened to have the gun-batteries guarding the river open on the Alceste should she proceed. 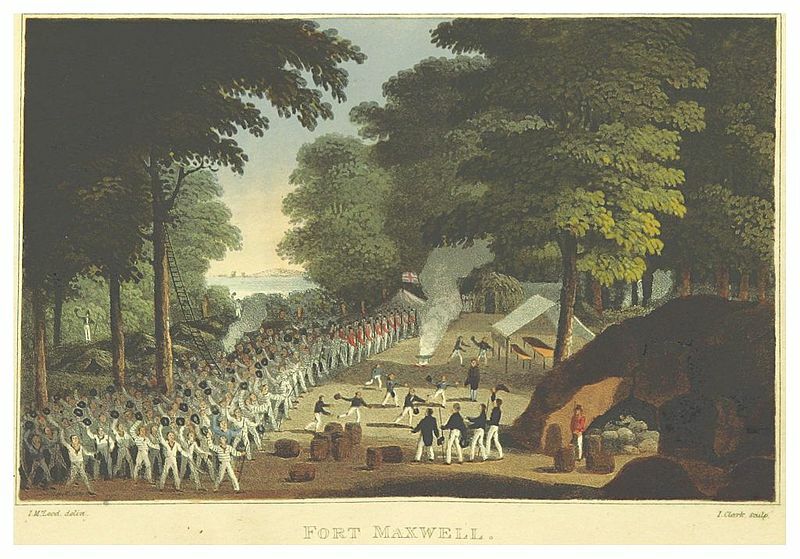 Captain Maxwell responded in the robust manner to be expected of the Royal Navy of his day – he bombarded and subdued the shore defences and some seventeen war-junks supporting them. He then moored, commenced his repairs and awaited Amehurst’s return. In the event Amehurst’s mission proved to be a total failure, doomed as it was by mutual incomprehension. Self-sufficient for millennia, China officials had little or no understanding of the outside world and regarded all other nations as inferior. Amehurst was informed that he could only be admitted to the Emperor’s presence if he were to kowtow – which meant kneeling and bowing so low as to touching the forehead on the ground. As representative of a proud nation that had opposed the might of France and her allies for over twenty years, and which had the previous year seen off the Emperor Napoleon, Amehurst had no intention of abasing himself or his country. Faced with an impasse, he had no option to head home. He rejoined the Alceste and she set out for England, he and his entourage, plus the frigates crew, adding up to 257 on board. Disaster struck in the Java Sea – an area largely uncharted at the time. Despite continuous soundings the Alceste ran on to a hidden reef on 18 February 1817, the damage so severe that the flooding was too much for the pumps to handle. Abandonment was now essential, the nearest island, Pulau Liat, being close enough for crew and passengers to be transferred safely to shore. In an uncanny resemblance to the Medusa wreck, a raft was used in the evacuation in addition to the ship’s boats. On this occasion however order and discipline prevailed. Provisions and fresh water were at a premium however and it was decided that the boats would head for Batavia (now Djakarta), the Dutch administrative centre in Java, 200 miles to the south, to organise a rescue. Amehurst joined them. Captain Maxwell had remained on the island and now organised a return to the wreck to recover whatever supplies remained as there were still some 200 mouths to feed. The attempt was interrupted by the arrival of Malay pirates and the salvage party, which had been unarmed, had to beat a hasty retreat. The pirates looted the wreck and burned it thereafter. Fearing further pirate attack, Maxwell supervised construction of a stockade – called appropriately “Camp Maxwell” – and readied it for defence. Another salvage party managed to recover some flour and wine from the Alceste’s burned-out hulk but the supplies-situation remained critical. The anticipated pirate attack came on 26 February. A sortie led by Alceste’s second lieutenant led to an initial repulse – with several pirates killed – but further pirate reinforcements arrived thereafter. They made no attempt to land, contenting themselves with firing swivel guns towards the stockade. Yet more pirates arrived and on 1 March an assault, which promised to be overwhelming, seemed imminent. It was at this critical juncture that a ship was seen approaching. Her appearance, and a brief attack by Alceste’s marines, broke the pirates’ resolve and they fled. The vessel turned out to be an East-Indiaman, the Ternate, which Amehurst had encountered in Batavia. It was to here she returned the castaways – not a single life had been lost – and Amehurst chartered another ship, the Caesar, to take them back to Britain. 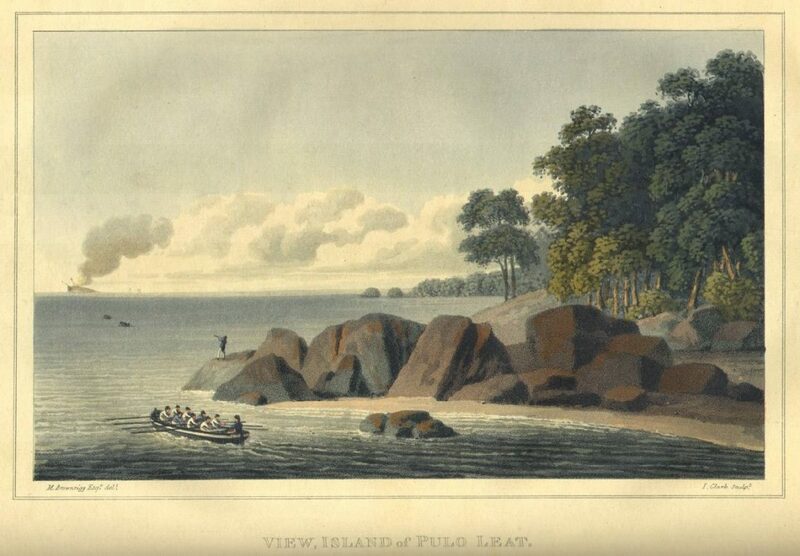 The Caesar put in to St. Helena on her voyage home and both Amehurst and Maxwell had an audience with the ex-Emperor Napoleon, now in his second year of exile there. Napoleon complimented Maxwell on his achievement and hoped that he would be exonerated (as he was to be) in the inevitable court martial for her loss. He also referred admiringly – and sportingly – to Maxwell’s capture of the French Pomone in 1811. It was to Amehurst, when discussing his failed mission, that Napoleon made his celebrated remark “China is a sleeping giant. Let her sleep. For when she wakes, she will shake the world” – a prophesy which has to come to pass in our own day. Maxwell was rightly hailed as a hero, was knighted in 1818. He was however seriously injured by a paving stone thrown from a mob opposing him when he stood for Parliament that same year. He returned to naval service and held a number of responsible positions but he never recovered from the paving stone injury. He died at 56 – too young. Amherst was to serve as Governor-General of India from 1823 to 1828. And now, when we admire Géricault’s “Raft of the Medusa” we should remember the Alceste also. She and her gallant crew deserve it. Lucky enough to have been given a Kindle ? The Dawlish Chronicles series now comprises six novels – with a seventh due in 2018, as well as short stories made available free to readers who sign up to the mailing list. The novels so far are set in the 1870s and 1880s and are centred on the life of Admiral Sir Nicholas Dawlish (1845 – 1918) and his wife Florence (1855-1946). The plots are set in locales as varied as Turkey. Paraguay, the United States, Cuba, Korea, Britain and the Sudan and are linked to real-life events and real-life personalities. Historian and novelist Joanne Druett has described Antoine Vanner as “The Tom Clancy of historic naval fiction” in view of the attention paid to the technology of this age of rapid transition. Click here, or on the banner below, to get an overview.